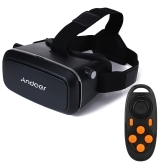 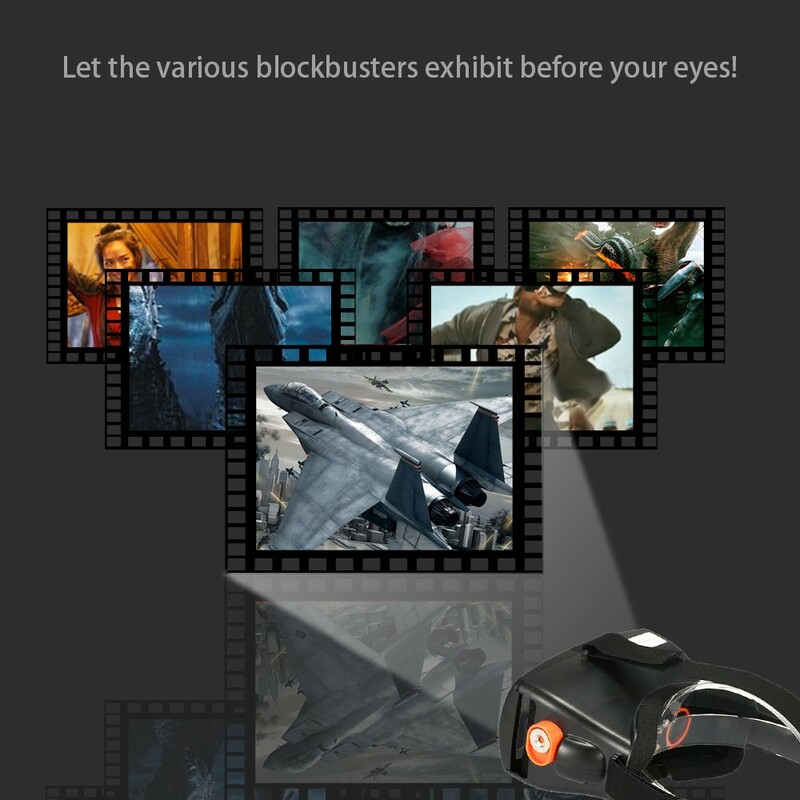 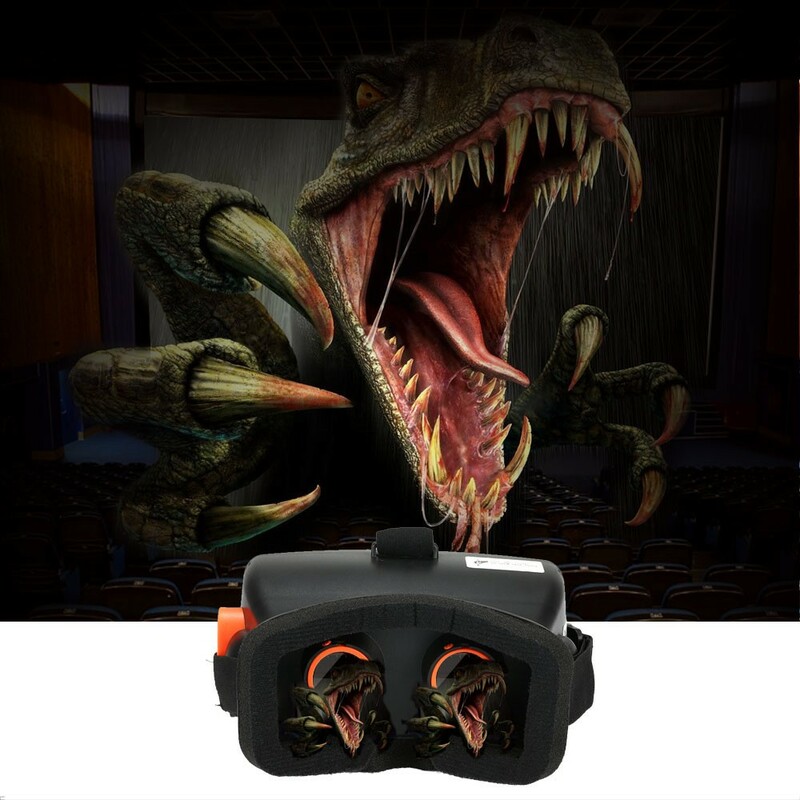 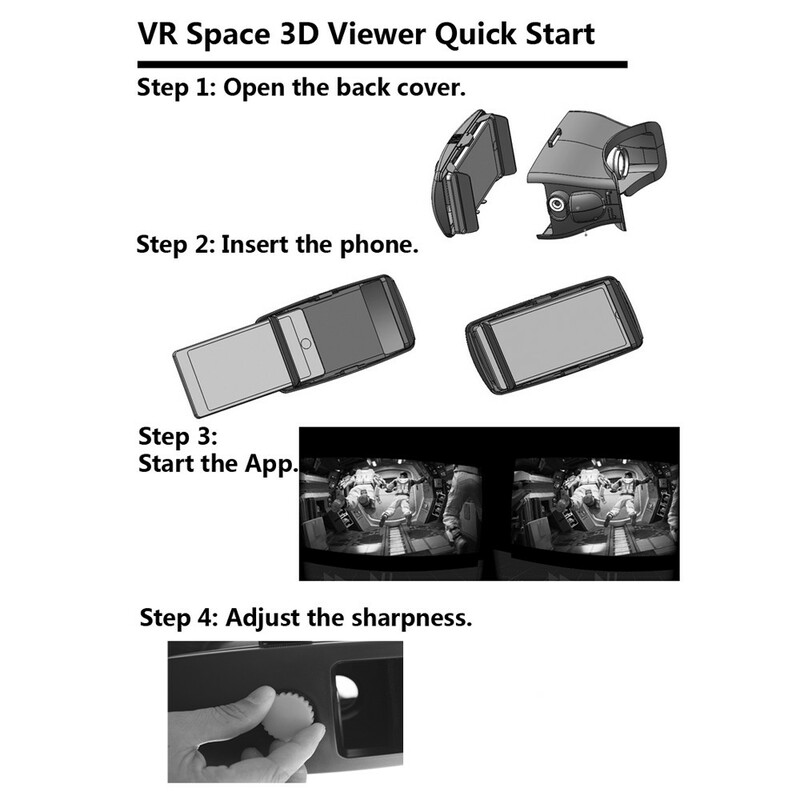 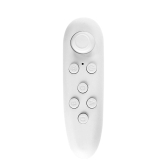 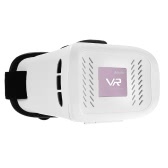 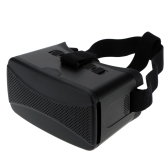 This VR Space virtual reality viewer can be regarded as your private 3D Cinema and bring you great game experience, and it is easy to operate. 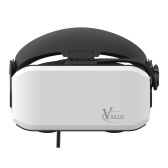 The item is designed base on the Google cardboard, And there are 7 points have been done to improve the product, it can be said that it’s the enhanced version of Google cardboard. 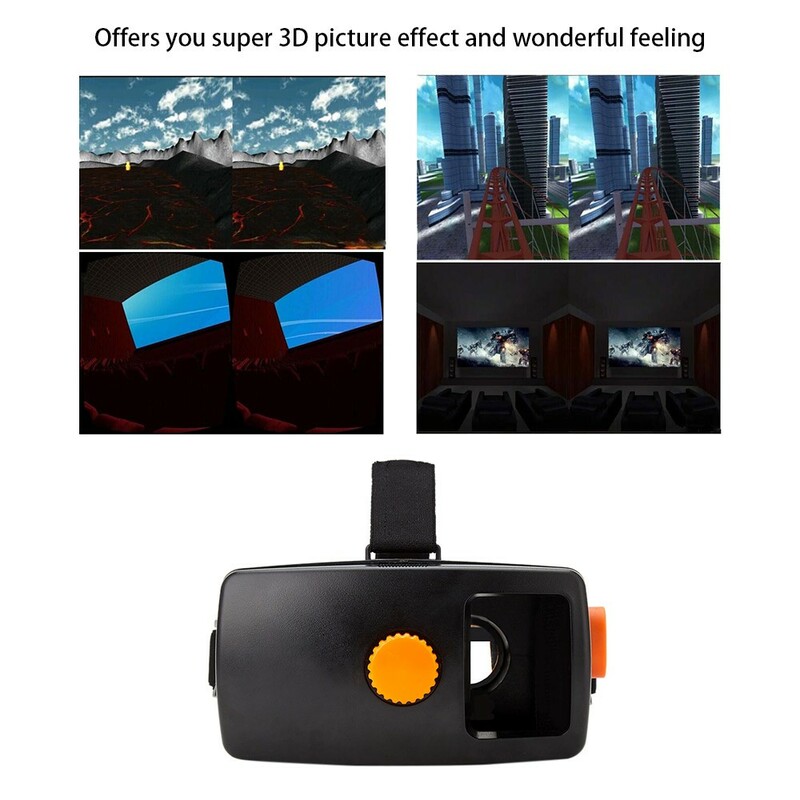 Based on our understanding of Google Cardboard, our software, input, object distance adjustment, thermal, optical design, darkroom design, USB/Audio interface has done a lot of improvement. 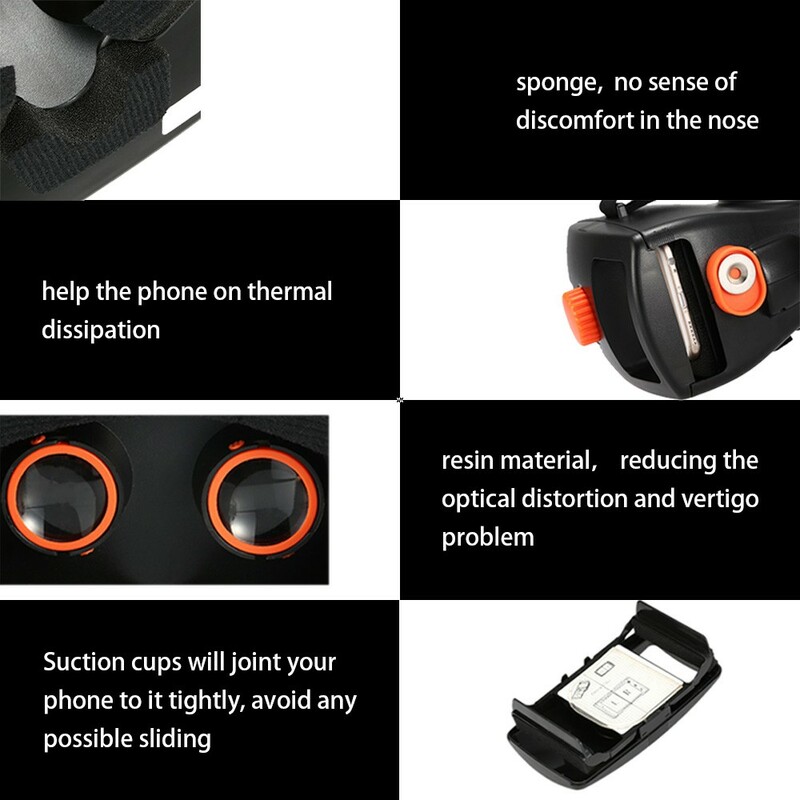 Thermal dissipation, when it is used with a long time, the phone will be hot, the 2 side an 1 back window could help on thermal dissipation. 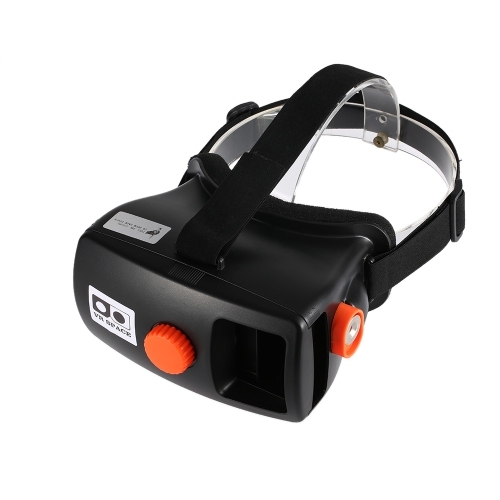 Our lenses using a resin material, the light transmission has improved significantly, reducing the optical distortion and vertigo problem. 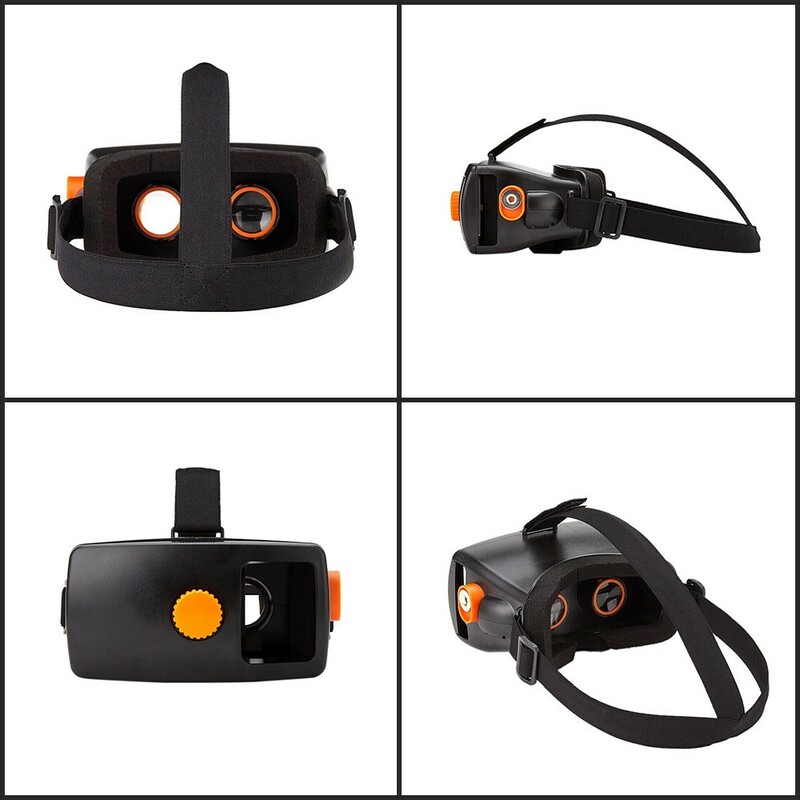 Flexible headband and adjustable pupil distance as well as sight distance is suitable for different people. 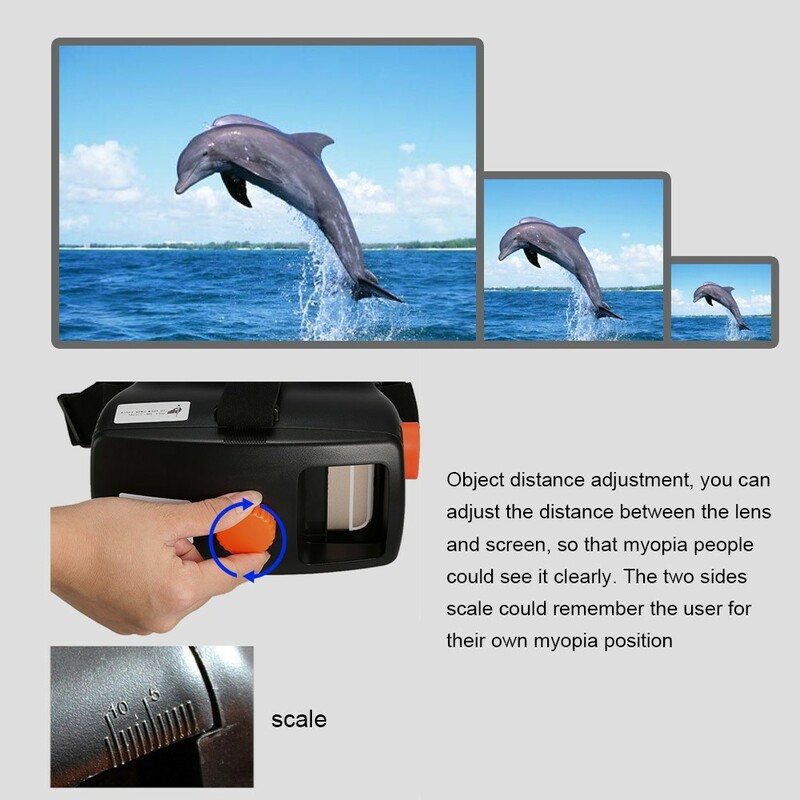 Suitable for Android and IOS smart phones whose screen is between 4.5 ~ 5.7 inches. 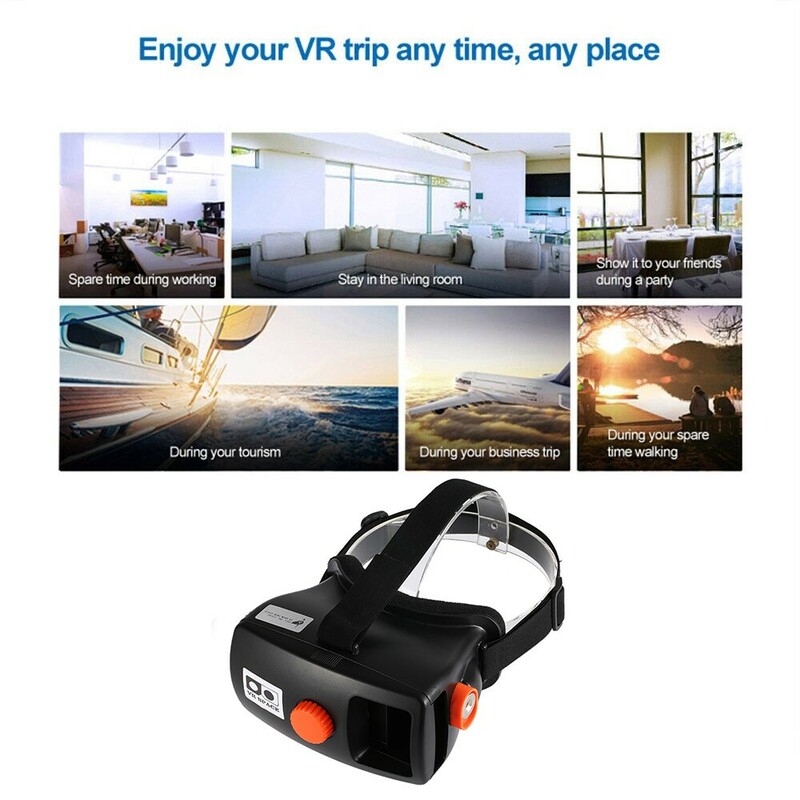 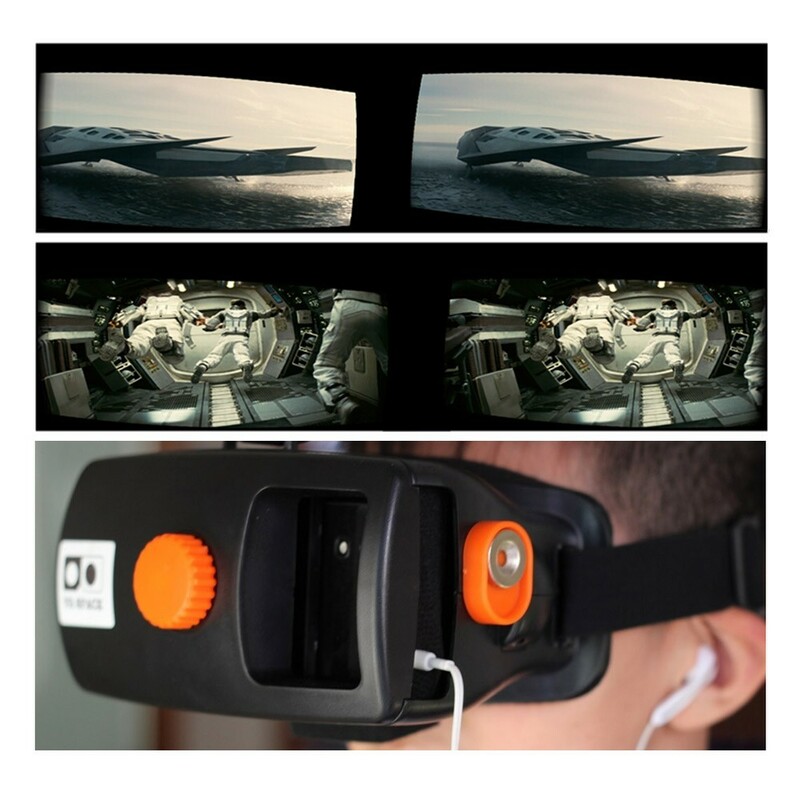 Both sizes holes of the 3D VR GLASSES is specially designed for the headset / data / charge cable, letting you charge your smart phone during enjoying movies.